Wee place, tranquility assured and ensured resourcing !!!! great place to gather with family and enjoy nature. "Rest"
Our cottage is situated in the countryside in the middle of the forest. A nearby hiking trails. 2 bedrooms, each with their health corner. The ground floor consists of a toilet, a kitchen with living room and lounge. Furniture and bedding very comfortable. Its garden, terrace and full games enchant you. Ideal for those seeking tranquility. Please note the path is riprap. Roughly 1km in the forest. No problem for vehicles. In winter, when a lot of snow, the last 200 meters should be a merchant. Your vehicle will remain on the upper parking lot safely. It's our little piece of heaven! Ideal place for rest and rejuvenation. This finding in a small corner of paradise to regain family values. 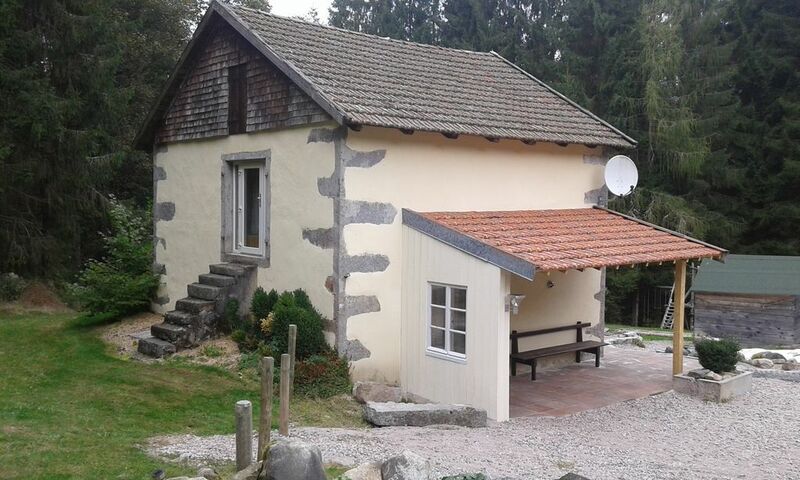 Gîte très agréable, au coeur de la forêt, bien équipé. Nous y avons passé un excellent séjour. Luxembourg, Metz, Nancy and Epinal exit and follow Gerardmer. +/- 350 km ride 3:30. At Le Tholy take "grass Cherry Tree Lane," then follow the instructions given by the owner. You will find all specialties.